For Stephen King fans, it's truly the best of times and the worst of times. 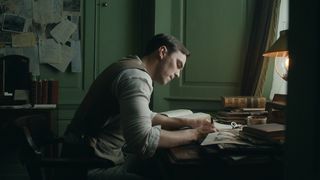 It's the best because the man himself is still writing away at his usual clip, with two books coming out this year and more projects no doubt on the way. It's also a good time to be a King fan because there seems to have been a resurgence of interest in his work from Hollywood these past few years -- including the possibility of seeing two of his most beloved books, The Stand (1978) and It (1987), being brought to the big screen in epic fashion. But as it turns out, the development process of those two projects has made this quite a frightening time to be a fan of the horror master and his work as well. The truth is, as a lifelong King fan who holds both It and The Stand in the highest regard, I'm come to a point where I don't think I want to see either one of them at my local multiplex. Why is this? Because recent events -- including director turnover and conceptual issues -- indicate that, despite at least some good intentions on the part of the filmmakers who have been involved, the major studios still fundamentally misunderstand what makes King's work successful. And that's bad news for fans of King's work in general, and especially those two novels, which most King fans rank among their very favorites. Let's start with The Stand. A theatrical, multi-film version of King's post-apocalyptic classic has been on the boards for several years now, with directors like David Yates (the Harry Potter films), Ben Affleck (Argo) and Scott Cooper (Out of the Furnace) all attached at one time or another, and with a script featuring some insane changes to the story. The latest director to work on the project is indie darling Josh Boone (The Fault in Our Stars), who claimed to have written a single three-hour script for one movie. How he managed to do that and stay faithful to the sprawling 800-pages-plus of material is anyone's guess, but last we heard, The Stand was back to a series of four films. The even lengthier It (1,100 pages) was conceived as a two-film saga, with True Detective director Cary Fukunaga taking the reins. But Fukunaga left the project earlier this month -- just four weeks before shooting was to begin -- after Warner Bros. Pictures moved it to the less prestigious New Line Cinema division and reportedly cut the budget, even requesting that it be condensed into one film. Warner Bros./New Line apparently does not see It as the same classy supernatural epic that Fukunaga apparently envisioned (although we question some of his creative choices too, like moving the story to New York). To most of the major studios, horror movies have always been a way of making a quick buck -- that's why we've always had scores of lousy, cheap sequels to properties like Halloween and Friday the 13th or, more recently, a deluge of "found-footage" knockoffs. Although hits like The Ring, The Sixth Sense and even the low-budget Insidious prove over and over again that audiences like horror tales that are made with care and a bit more thought than the usual fare, the studio's default position on the genre remains largely the same: They want it fast, they want it cheap, and they want things leaping out of the screen 15 minutes into the movie. What they don't want is expensive, large-scale, character-driven dramas that happen to also be stories involving ancient entities or the end of the human race -- which are exactly what It and The Stand both need to be. King's books are so compelling because of his characters. We come to know the Losers Club in It and the citizens of the Boulder Free Zone in The Stand in a way that makes them seem like old friends, so when they do face unimaginable horrors it makes the stakes that much more personal and emotionally involving. Both books were made into miniseries in the past, It in 1990 and The Stand in 1994, and while neither has aged particularly well and both were shackled in different ways by the limitations of network TV at the time, they at least had the right idea to service the characters first. They're both fondly remembered today despite their flaws. So it's ironic, in a way, that the best future for both novels probably still remains on the ever-changing small screen. The perfect way to adapt both novels is to make them into miniseries, either through a premium channel like HBO or through a streaming network like Netflix. The Stand could work as a season-long series, perhaps 12 or 14 hours, while It could be a four- or six-hour event like HBO's recent highly acclaimed adaptation of Olive Kittredge. Hell, make The Stand into three short seasons and really take a deep dive into the novel (just don't go off the rails like CBS' ludicrous Under the Dome). There are no restrictions on content or length, no worries about box office, and there's a wealth of talent available both behind and in front of the camera. That, to this King fan, is the best way to adapt The Stand and It (and The Dark Tower, while we're at it), and that is why I don't want to see truncated, studio-massaged, compromised versions in a movie theater anytime soon. I'd rather just go back and reread the books. What is your opinion? Should the movies of It and The Stand be scrapped in favor of small-screen adaptations? Would you rather have no movie at all than a less-than-stellar one?